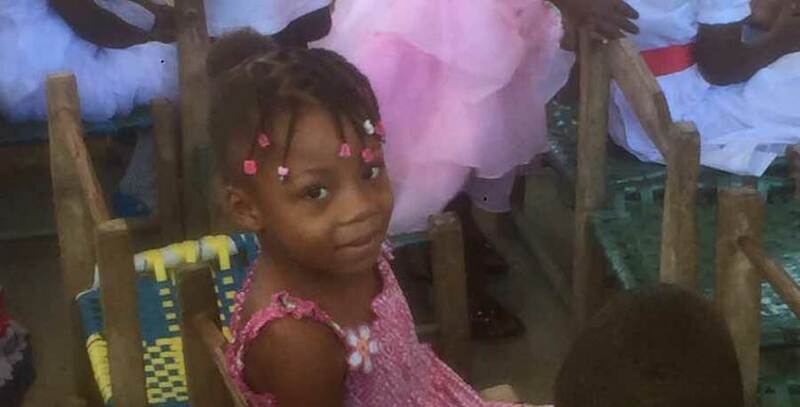 Chanaica is a very sweet girl who came to the orphanage from the nearby village of Fond Blanc. She is now able to live with her older brother, Nerrison and her older sister Maseline, while their other brother is back home with their parents. One thing she loves about the orphanage is that she gets to be around so many friends all the time. Even though you can often find her with all the girls, her best friend at the orphanage is Jasmine. Chanaica loves going to school and getting to learn about new things every day. When she grows up, she would like to become a doctor to be able to help others. She knows this requires lots of hard work and a good education. Her favorite thing to do is to eat.